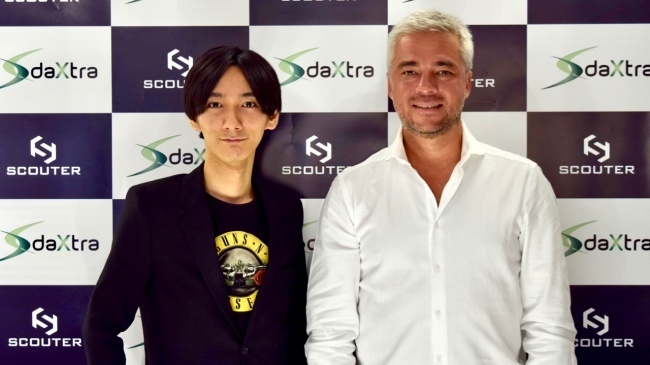 Tokyo, Japan: July 3, 2018 - Today DaXtra is happy to announce a new partnership with Scouter in Japan. Scouter is a fast-growing Japanese recruitment platform, which will be using DaXtra's market-leading software in its cloud-based recruitment database, SARDINE. The number of companies looking to recruit candidates in Japan is rapidly increasing. An estimated 85% of these companies are small businesses, with fewer than 10 employees. Many of these companies have not been storing and utilising their historical recruitment data to improve candidate matching and increase operational efficiency. The SARDINE recruitment platform will use DaXtra's intelligent automated technology to achieve the highest quality candidate matching. DaXtra Parser analyses the contents of each CV/resume, maps it to the database and automatically imports it as structured data. This will significantly reduce the time and cost required for data input and candidate database registration. The partnership with DaXtra will allow Scouter to focus on data which has not been used in the past, to radically improve work efficiency in recruitment. Get in touch for more information about our products and how our intelligent automated solutions can improve your business.